A master of science in nursing (MSN) degree program enables its students to prepare for advanced career tracks like nursing administration, nursing education, and family practice nursing. 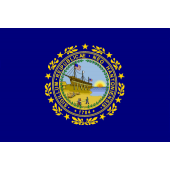 New Hampshire is home to two distinct types of MSN programs. The majority of master’s degree programs prepare existing registered nurses (RNs) to seek licensure as advanced practice registered nurses (APRNs), with specialized roles like nurse practitioner, nurse midwife, and nurse anesthetist. However, University of New Hampshire also offers a direct-entry MSN program that enables bachelor’s degree-holders from non-nursing fields to make a career switch into the nursing profession. Most MSN students are existing nurses pursuing their passions in specialized nursing fields. These APRN roles carry very attractive compensation. For example, New Hampshire’s nurse practitioners earn a median annual salary of $96,650; this is $34,000 more than the state’s typical registered nurse earns. New Hampshire’s nurse midwives earn even more: $107,500 per year. Nurse anesthetists are the highest-paid APRN role, usually earning well into six figures. Regardless of specialization, the investment in an MSN is clearly justified by higher salary. UNH’s direct-entry MSN program takes a different tack. This program enables career-switchers from any non-nursing field to build upon their existing bachelor’s degree. Candidates spend the first year of study preparing for initial RN licensure, including passing the NCLEX-RN exam. Students then turn their attention to more traditional graduate nursing studies during the second and third years of the program. To provide New Hampshire’s nurses a complete view of their options, we’ve profiled below each of the state’s accredited MSN programs.